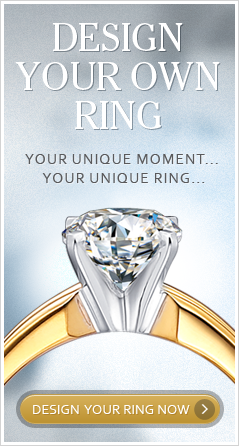 Price: Adjust the slider or key in your price range to find a diamond that matches your budget. Whether they are set in earrings, on a ring or as part of an enchanting bracelet, diamonds make a beautiful addition to any piece of jewellery. Begin the most spectacular piece of jewellery with beautiful loose diamonds. At La Vivion, we are the diamond experts. We have a superb collection of stunningly beautiful loose diamonds to choose from, helping you to create the perfect piece of jewellery for a loved one. Loose diamonds were originally presented and sold by traders, gaining popularity in Western Europe during the 13th century through the work of Venetian stone cutters. Soon, royalty began to take note and ordered custom pieces featuring stunning loose diamonds. By the 17th century, diamonds had finally come to be the ultimate symbols of prosperity. Whether you are looking for a brilliant Round diamond for an engagement ring or Emerald cut stones for a pair of earrings, here you will find the perfect loose diamonds to meet your taste and budget. Using our advanced diamond search facility, you can choose from our extensive range of diamonds, narrowing the field according to cut, clarity, cut, colour and price. At La Vivion our commitment to quality is second to none. We offer only the best quality GIA diamonds, certified by the world’s leading independent laboratory - the Gemmological Institute of America. One of the most respected organisations in the diamond industry; a GIA diamond is guaranteed in quality. All loose GIA diamonds available at La Vivion are conflict-free and come with individual grading reports issued by the GIA and. This means you can rest assured knowing your diamonds are of extremely high quality. Browse our exquisite range of loose diamonds today and create your perfect piece of diamond jewellery with La Vivion.